Diabetes is a group of diseases characterized by high blood glucose levels that result from defects in the body’s ability to produce and/or use insulin. 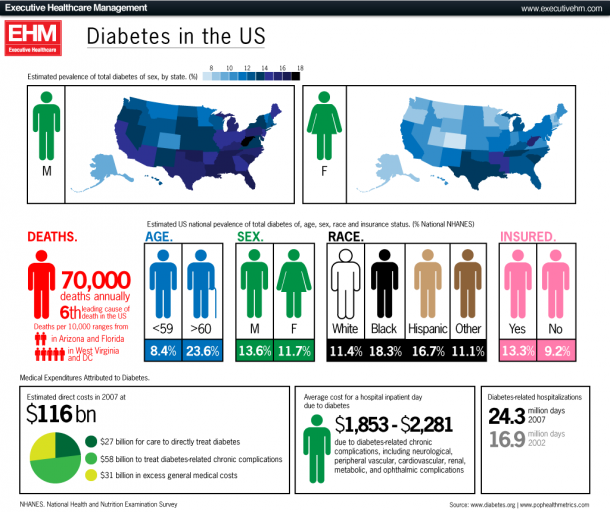 Diabetes plagues 25.8 million Americans have diabetes — 8.3 percent of the U.S. population, and approximately 90% of all cases of diabetes worldwide are type 2. People can develop type 2 diabetes at any age, though this type of diabetes develops most often in middle-aged and older people (although in recent years it has also become an epidemic with children). People who are overweight and inactive are more likely to develop type 2 diabetes as well as those who have poor diet habits (such as eating high amounts of sugar and/or low-fiber foods like white processed breads and sodas, which can make blood sugar spike and fall. People with diabetes have problems dealing with sugar in the blood stream that comes from food. After eating, food is broken down into glucose, a sugar, which is carried by your blood to cells throughout your body for energy. To counterbalance excessively high blood sugar levels, the hormone insulin is secreted from the pancreas signalling the body to convert the excess blood glucose into fat instead — thus lowering blood sugar back to normal levels. Type 2 diabetics however suffer from insulin resistance, which means cells do not respond to insulin properly, meaning your body needs more insulin to control blood sugar. At first, your pancreas does double duty by producing more insulin. But in time, your pancreas loses its ability to produce enough insulin and blood glucose levels stay dangerously high requiring treatment with prescription drugs. By relying on “grounding” foods that don’t contain table sugar or corn syrup (which can sky rocket blood sugar), type 2 diabetics can improve management of their disease, because their body doesn’t have to work as hard to bring down blood glucose levels. These naturally low-carb foods are also high in vitamins, minerals, fiber, which helps to slow the release of glucose in the blood. So here are four superfoods that should have a special place in every diabetics diet! Kale is a leafy green that comes from the cabbage family, and there are many varieties from Lacinato, to curly, red Russian, and ornamental Asian just to name a few. All kale varieties have slightly different flavors but are delicious sauteed with a pinch of salt and olive oil or added to many dishes you already know and love. Kale is a superfood because it packs a wallop of nutrition. Kale is a diabetes superfood for many reasons: It’s naturally low in calories and carbohydrates, and high in protein (helps to keep you full) compared to other vegetables. Kale contains a special cholesterol-lowering fiber that works best in your body when kale is cooked. The fiber binds to bile acids in your body and whisks fat and cholesterol out of your body so the fat doesn’t get absorbed. 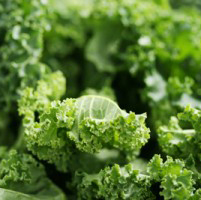 Raw kale still has cholesterol-lowering ability — it just doesn’t work as well than cooked kale. 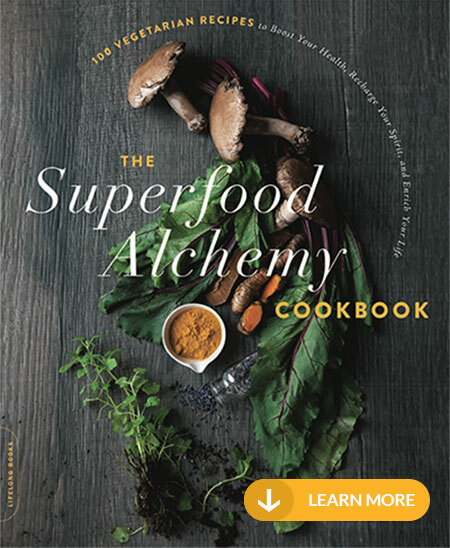 Kale also contains very special array of compounds that fight disease, beyond high levels of vitamins and minerals that most Americans are lacking (including vitamin A, C, and K). Kale also contains over 45 different flavonoids, including kaempferol and quercetin just to name two, which means it has both antioxidant and anti-inflammatory benefits, important for protecting your heart as well as fighting cancer. Berries are juicy, sweet tasting but low on the glycemic index. Berries are fiber powerhouses, which is a boon for any diabetic. Fiber helps your body regulate blood sugar since it slows the uptake of sugars and carbs into the blood stream, keeping blood serum levels more steady. Most health professionals recommend that you aim for 25 to 30 grams of fiber, while other say to aim higher for conditions like diabetes or obesity. 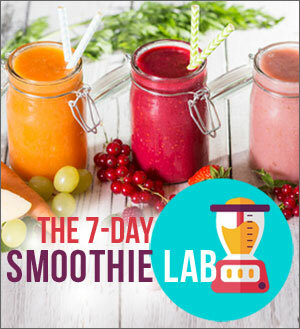 Just one cup of fresh raspberries, at 65 calories, provides you with 8 grams of fiber! Fresh berries are delicious but they can be pricey. 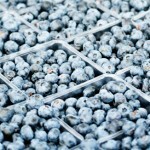 If they aren’t in your budget, stock your freezer inexpensive frozen berries. Apples, part of the rose family, are one of those underrated superfoods that are totally portable and incredibly versatile. Sweet and sometimes sour, there are a million ways to enjoy them. Apples are very low on the GI index, but are also very filling and waistline friendly for around 90 calories per apple. 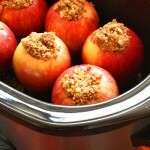 Apples are also rich in potent anti-oxidants. It turns out that the bulk of an apple’s anticancer properties, primarily quercetin, hang out in the peel, as do most vital anti-oxidants that are also responsible for color. The phytochemicals in the apple flesh seem to work best with the phytochemicals in the peel to potentially reduce the risk of cancer, especially colon cancer. Beans are very high in fiber and low on the glycemic index. They give you about 1/3 of your daily fiber requirements in just a 1/2 cup (at around 190 calories) and are also good sources of magnesium (important for heart health) and potassium (crucial for muscle function and hydration). Like berries and greens, beans are in the running for the top anti-oxidant rich foods, a little know fact. Kidney and red beans rank highest, then black beans following close behind. 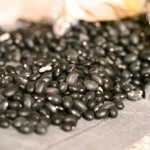 Black beans are especially good for digestive tract health, and have been studied in the context of colon cancer. If you have trouble digesting beans, here are two easy tips: Start by eating small portions, say 2 heaping tablespoons, to help your digestion become used to them until they cause less discomfort. If you don’t mind cooking your beans from scratch, soaking dried beans helps remove some of the flatulence-causing substances. If you’re using canned beans, rinse well. Cooked or canned beans freeze well, I pack 1/4 cup portions in snack bags and pop them in the freezer for easy add-ins during mealtime. Just defrost on the counter top for 30 minutes. Nuts are natural hunger-busters, not only because of their fat content but also because of their protein and fiber content. 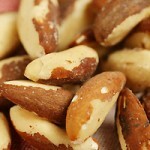 All nuts contain fiber, which helps lower your cholesterol while anchoring your blood sugar. 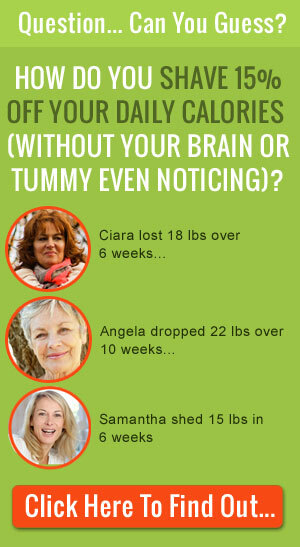 But most nuts, especially peanuts, contain other slimming nutrients. I consider peanuts the unsung heroes when it comes to building lean muscle mass, because they contain the non-essential amino acid L-arginine. 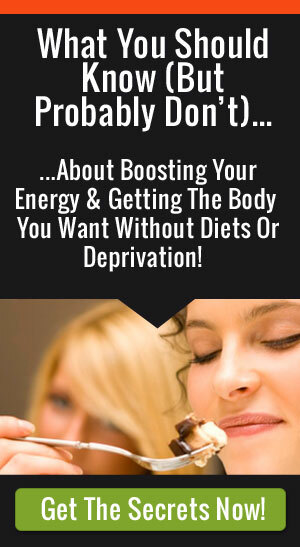 It’s being studied for its ability to lessen body fat while helping to build lean muscle mass at the same time. Nuts also contain a wide array of anti-oxidants and vital minerals that most people lack, like manganese, calcium, iron, copper, chromium, zinc, and selenium important for many physiological and metabolic functions. If you’re looking to lose fat, eating fats for weight loss is so important! It might seem counter-intuitive, but not getting enough good quality fats along with other vital nutrients in your diet can sabotage your weight loss efforts. Here’s why: Getting the right amount (between 30-50 grams/day) good quality fats will trigger leptin — the hormone that tells your brain that you’re full — so you eat less. But the key here is “good quality fats” (like mono- and polyunsaturated ones), since trans-fats and saturated fat (not from grass-fed sources) can trigger inflammation in the body which can block weight loss. Add these delicious foods to your diet by testing out 20 fresh ways to spin your daily salad with, or eat them cooked in a teaspoon of olive oil and topped with a spoonful of hot salsa, low-sodium taco seasoning, kimchee, or caramelized onions.